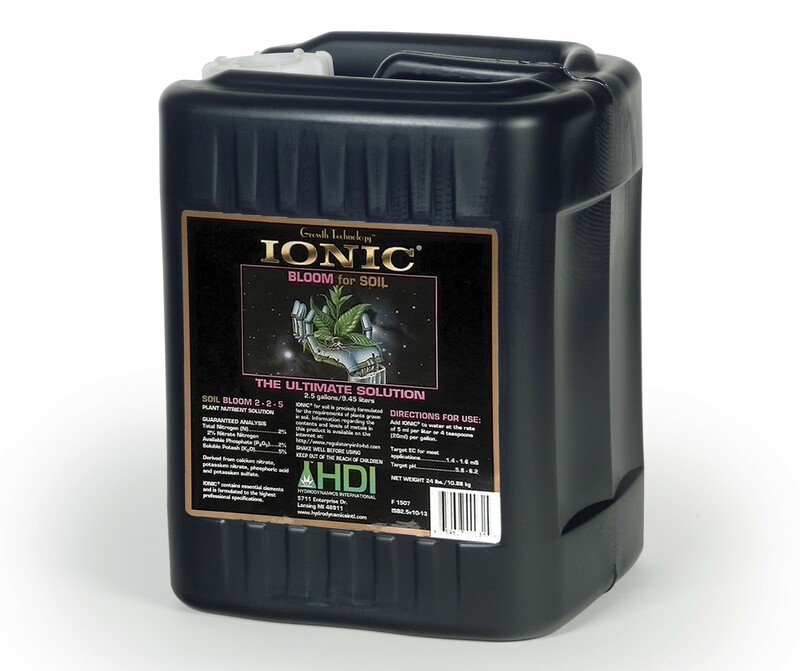 Ionic Bloom for Soil is ideal for all container grown plants. 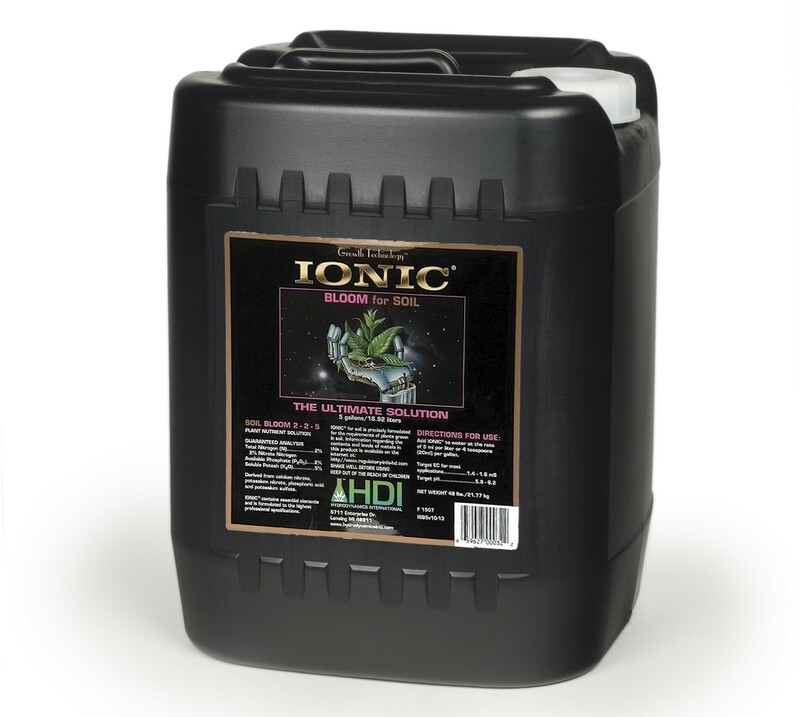 Add Ionic® Bloom for Soil to tap water at the rate of 5ml per liter or 4 teaspoons per gallon. One quart dilutes to make 50 gallons of nutrient solution specifically formulated for the reproductive stages of plant growth. 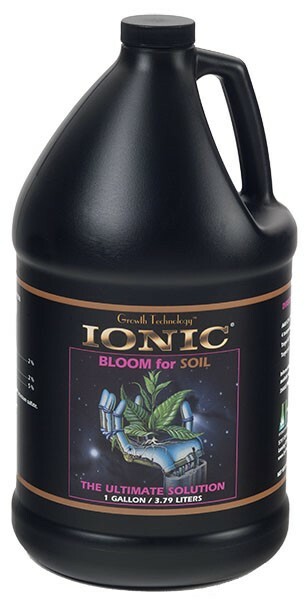 Ionic Bloom for Soil is a continuous liquid feed nutrient designed to be used with each irrigation. 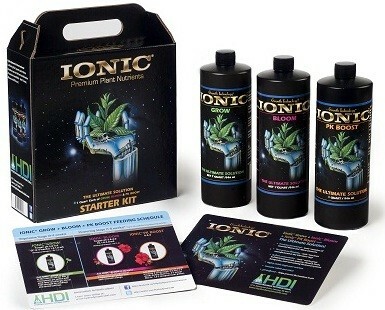 Use it with Ionic Grow for Soil for all stages of plant growth.